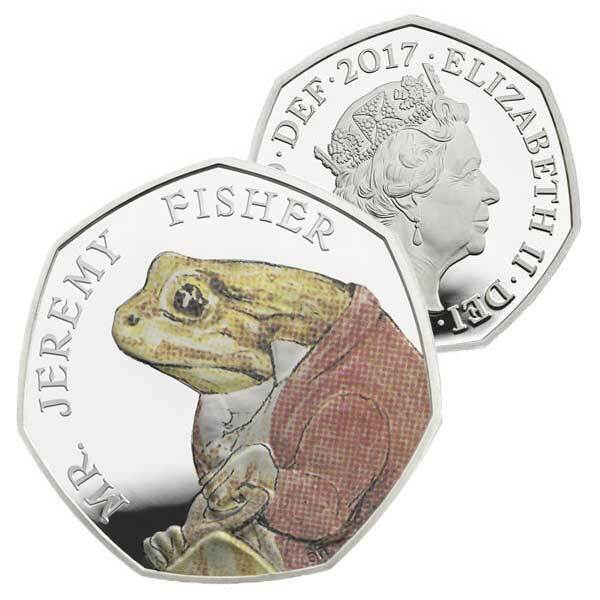 This brand-new 50p coin for 2017 features a picture of Jeremy Fisher by Emma Noble. The 925 sterling silver coin features colour printing, highlighting elements. 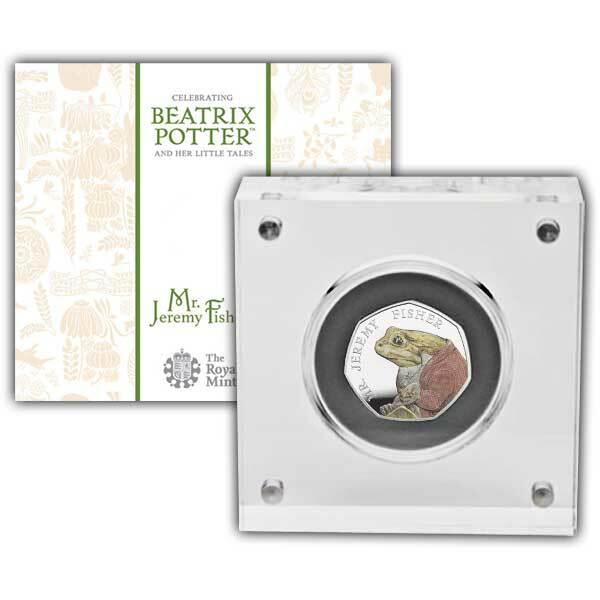 The coin has been finished to Proof standard and can be found in a clear acrylic presentation case. Everything in order. Product as described. So delighted with purchase an absolutely lovely coin ,looking forward to Tom Kitten and Benjamin Bunny. LOVELY COIN. I AM DELIGHTED TO ADD THIS TO MY COLLECTION. I was happy to be able to secure this coin as the royal mint and the Westminster collection had sold out. Got a really nice coin from a very good company excellent service and will buy from again. I ordered the coin using this company for the first time. The service was excellent and the coin came in good condition, and was well packed. I was very pleased with the coin. And will look forward to buying from you again.